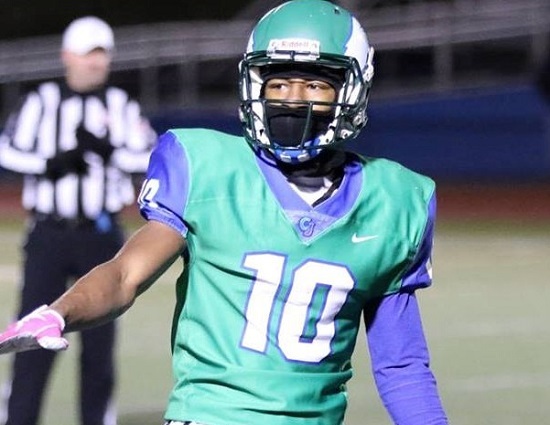 DAYTON, ohio – Chaminade Julienne wasted little time putting away Greenville on Thursday night, finding the end zone seven times before halftime. The Eagles remained unbeaten and are now averaging 47 points per contest. Junior quarterback Ryan Minor threw four first half touchdown passes including a pair to Dominic Wilcox. It is the third straight game that Minor has thrown for four scores. He finished the contest 16-22 for 249 yards. Wilcox had five receptions for 118 yards and upped his season total to six touchdown catches. When the dust settled Chaminade Julienne would amass 526 yards of total offense (298 pass, 228 rush). Eagles running back Quincy Johnson ran for a career-high 126 yards and two touchdowns. Greenville senior Landon Eldridge had game-high 163 yards rushing to go along with his ninth and 10th touchdowns of the season. Eldridge has 559 yards on the ground through three weeks.